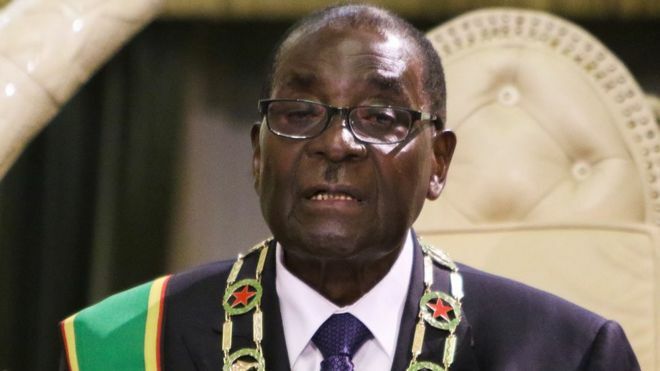 Is President Mugabe aware of his government's legislative agenda? The opening of Parliament and the President's speech are key moments in the life of a Parliamentary democracy. Following on from the State of the Nation speech which lays out the government's proposed agenda in response to the state of the nation, the speech at the opening of Parliament lays out the practical steps that the President and his government are taking to bring into effect the proposals laid out in the State of the Nation address. It spells out the government's legislative agenda ie what laws the government proposes to pass in order to allow it to action the things it has promised to addreas or deliver. So the point is, that agenda is a live and absorbing process for any leader. It will have seized and animated party and cabinet meetings, and by the time a speech is prepared to capture the agreed agenda of practical actions, the whole government is braced for the work ahead. The President's set-piece speech signifies the government's announcement kuti yah, basa riye taakutanga manje and this is how we are going to go about it, and these are the legal instruments we propose to create in order to enable us to execute this work. So rather than it being a piece of paper with words written on it which the President reads in Parliament, the speech signifies a living and breathing and active programme of work for government. The President already knows it before he even reads what's on the piece of paper before him. In fact, he can even set aside his prepared speech and talk Parliament through it if he so wishes, because it is HIS programme of action. Now, the fact that President Mugabe went to Parliament and read the wrong speech without even realising it means that he has no sense of awareness of what his government's agenda for action is; it betrays a disconnect between the leader and what is supposed to be his programme of action for the nation. It means he does not own that agenda, does not feel any sense of ownership for it, is most likely unaware of what it is, and is therefore merely performing the empty, routine ritual of reading a speech before Parliament simply because the occasion constitutionally requires that the President deliver a speech before Parliament! How outrageous is that? To President Mugabe, the whole thing was no more than a perfunctory one, which is why it didn't even cross his mind that the words that were rolling off his tongue were inconsistent with the programme of action that his government had drawn up.